1. Skinner MA, Grosfeld JL: Inguinal and umbilical hernia repair in infants and children. Surg Clin North Am 73:439, 1993. 2. Gallegos NC, Dawson J, Jarvis M, et al: Risk of strangulation in groin hernias. Br J Surg 78:1171, 1991. 3. 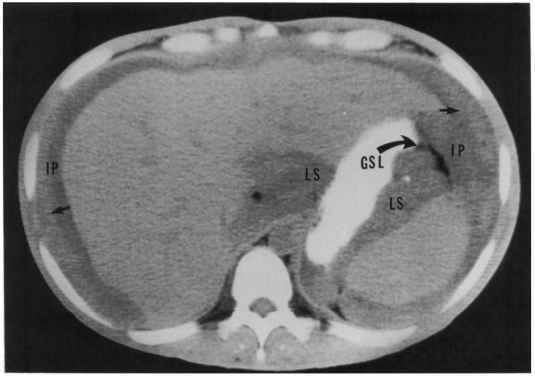 Scherer LR, Grosfeld JL: Inguinal hernia and umbilical anomalies. Pediatr Clin North Am 40:1121, 1993. 4. Bergstein JM, Condon RE: Obturator hernia: Current diagnosis and treatment. Surgery 119:133, 1996. 5. Sahdev P, Garramone RR, Desani B, et al: Traumatic abdominal hernia. Am J Emerg Med 10:237, 1992. 6. Mensching JJ, Musielewicz AJ: Abdominal wall hernias. Emerg Med Clin North Am 14:739, 1996. 7. Akin ML, Karakaya M, Batkin A, et al: Prevalence of inguinal hernia in otherwise healthy males of 20 to 22 years of age. J R Army Med Corps 143:101, 1997. 8. Millikan KW, Deziel DJ: The management of hernia: Considerations in cost effectiveness. Surg Clin North Am 76:105, 1996. 9. Primatesta P, Goldacre MJ: Inguinal hernia repair: Incidence of elective and emergency surgery, readmission and mortality. Int J Epidemiol 25:835, 1996. 10. Kadirov S, Sayfan J, Friedman S, et al: Richter's hernia—A surgical pitfall. J Am Coll Surg 182:60, 1996. 11. Torzilli G, Carmana G, Lumachi V, et al: The usefulness of ultrasonography in the diagnosis of the spigelian hernia. Int Surg 80:280, 1995. 12. Mufid MM, Abu-Yousef MM, Kakish ME, et al: Spigelian hernia: Diagnosis by high resolution real-time sonography. J Ultrasound Med 16:183, 1997. 13. Hojer AM, Rygaard H, Jess P: CT in the diagnosis of abdominal wall hernias: A preliminary study. Eur Radiol 7:1416, 1997. 14. Gahukamble DE, Khamage AS : Early versus delayed repair of reduced incarcerated inguinal hernias in the pediatric population. J Pediatr Surg 31: 1218, 1996.